While vacationing with his family in Europe, businessman Benjamin Sager is assaulted and abducted, awakening in a small cell occupied only by another captive American. Ben's senses send him reeling into his own past; to a place both exhilarating and terrifying. As Sager struggles to determine where he is and why he and his cellmate are being held, Christopher Falen, a covert agent of the CIA offshoot, Unit 1, uncovers a disturbing pattern of unexplained American tourist disappearances, seemingly vanishing without a trace. 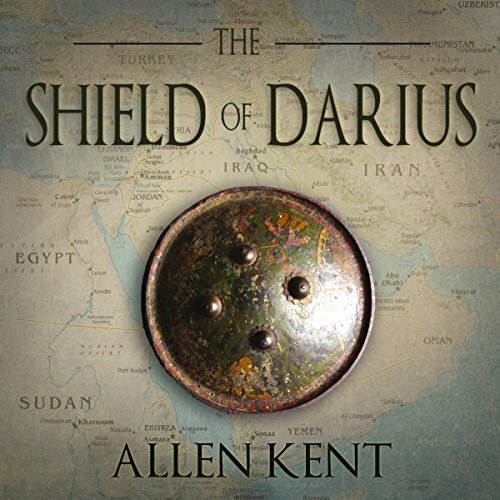 Two paths cross as Falen's investigation and Sager's desperate will to survive draw them both into the deadly web of the Shield of Darius. A timely and relevant thriller, The Shield of Darius takes the listener on a journey through the maze of international espionage and politics between the United States and the Middle East and poses the question: Who can be trusted? Loved this story which could have been torn from current headlines! Descriptive text put the listener at the exact locations of this international intrigue. WOW what a wild ride!! !